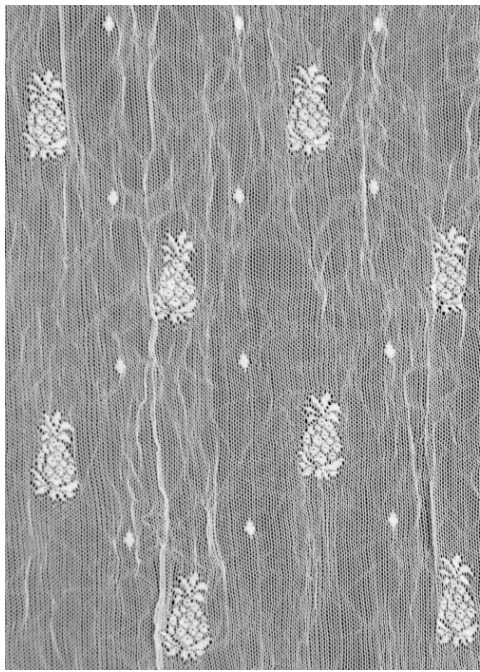 The pineapple was a symbol of welcome greetings in colonial times that is nicely translated into a beautiful crushed lace in this curtain panel made to work with those odd windows that are long and narrow windows beside the front door in an old Victorian home. Rod pockets at both the top and bottom keep them in place. 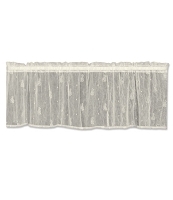 Available in 4 sizes in your choice of ecru or white.